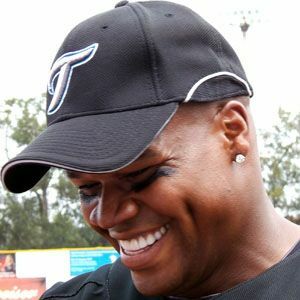 5-time All-Star nicknamed "The Big Hurt," he is most famous for his 16-year stint with the Chicago White Sox. He was named American League MVP in consecutive years in 1993 and 1994. He played football as well as baseball at Auburn University. He became a first-ballot Baseball Hall of Famer in 2014. His #35 jersey was retired by the White Sox. He was married to Elise Silver from 1992 to 2001. He has children named Sloan, Sydney, Sterling and Frank. He became the first American League player to win consecutive MVP awards since Roger Maris did so in 1960 and 1961.